Please join Canyon Cinema on the evening of Monday November 9, 2015 at New Nothing Cinema for the next installment in our Salon series. This month, we’re pleased to welcome filmmaker Paul Clipson. Paul will screen a selection of some of his favorite films from the Canyon Cinema catalogue, works that influenced him and continue to generate inspiration in his practice of Super 8mm and 16mm filmmaking. After the screening, a conversation will focus on the potential narrative, visual, editing, sound and silent elements of the films. Concept, direction, camera and editing by Kenneth Anger. Music by Jonathan Halper. Filmed in Hollywood. Cast: Yvonne Marquis (Star). “A lavishly colored evocation of the Hollywood now gone, as shown through an afternoon in the milieu of a 1920s film star. 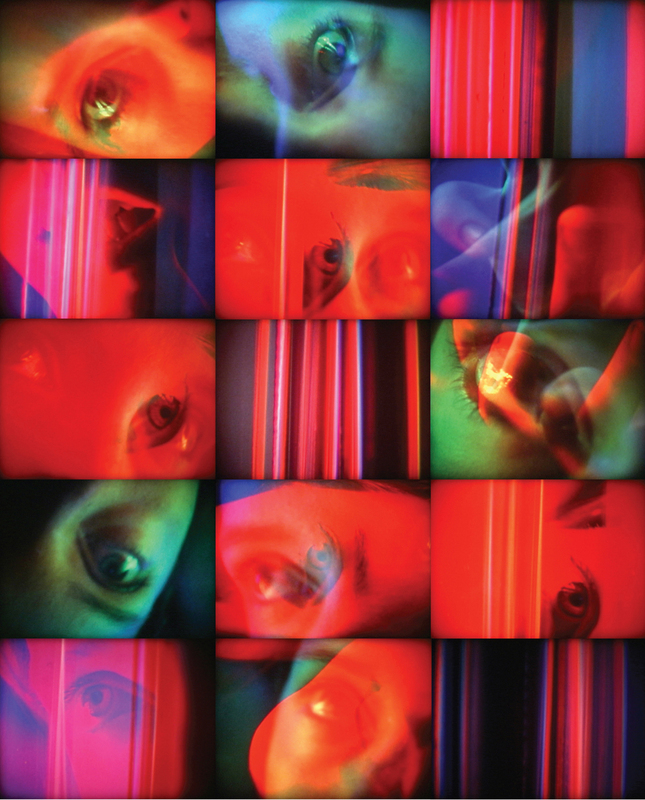 “Between 1975 and the present, Kren has continued working in a formalist vein, all the while incorporating elements of his older systems and themes.” – Regina Cornwell, The Other Side: European Avant-Garde Cinema 1960-1980. Dedicated to the memory of Anne Frank, and the tenacity of the human spirit. Originally shot in 1957 and edited in 1978. The protagonist, poet Michael McClure, emerges from the all-reflection imagery of glass shop and car windows, bottles, mirrors, etc. in scenes which are also accurate portraits of both McClure and the city of San Francisco in 1957. At the same time it is a lyric and mystical film, building to a crescendo of rhythmically intercut shots of McClure’s face, seemingly trapped on the glazed surface of the city. Music by William Moraldo. I don’t think of this as an “early film” anymore, since it never came together until ’78. Now it’s tight. This “return to photography” (after several years of only painting film) was made on the eve of cancer surgery – a kind of “last testament,” if you will … an envisionment of the fleeting complexity of worldly phenomenon. OTHER STATES (2013) | Paul Clipson | 6 min | Super 8 | color | sound by Jefre Cantu-Ledesma – print provided by filmmaker. The third in a trilogy (with SPEAKING CORPSE and ANOTHER VOID) of films studying the effects of multilayered music and multi-compositional night imagery, of dense superimpositions of eyeballs, ATM machines and neon signs. Filmed in the Lower East Side and on 42nd Street in New York, and in the Tenderloin of San Francisco.